Car insurance is considered a necessary evil by some, and a savior by others. Regardless of your personal view on it, the monthly costs add up over time and you owe it to yourself to do all that you can to keep your car insurance rates down. Some form of auto insurance is mandatory in every state; this typically means drivers must carry at least liability insurance to compensate others for damage or injury that they inflict during a car accident that is their fault. Read on for some ideas on how you can get the most value out of your auto insurance while saving the highest amount of your hard-earned dollars. 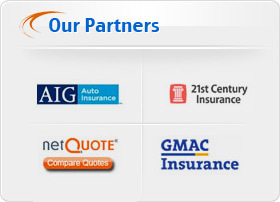 Start by choosing only the insurance coverage that you really need. Don't pay for roadside assistance if you already have AAA, and be aware that your paid-off, 10-year-old car does not need comprehensive or collision insurance. These types of coverage pay only up to the value of your car, and over time, you would end up paying more to keep the coverage than your car is actually worth. Your insurance agent should know the minimum-required liability limits for your state. Since liability insurance is cheap, spend a little extra on this so that if you cause an accident, everything will fall under your liability coverage limits and you will not end up paying any costs out-of-pocket, which keeps your home and other assets fully protected. Shop around and, instead of taking the first policy you come across, get several different quotes. This may seem like a pain, but many websites offer quote utilities that let you enter your information one time, and get several quotes returned to you. You might be quite surprised how much costs vary between insurance companies for exactly the same coverage, and you can cherry-pick the lowest rates among the quotes you receive. If you are in the market for a new car, take a quick look at the models that made the current year's top safety pick list with the Insurance Institute for Highway Safety (IIHS.org). 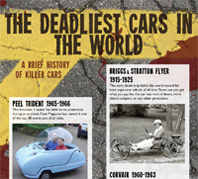 These cars are chosen based on their safety records and crash test results. Insurance companies will give you much lower rates for these cars, because they typically have more airbags, anti-lock brakes, day-time running lights, VIN numbers etched in the window glass, stolen car recovery systems and many other features that keep you safe, reduce accident risk and prevent your car from being stolen. You could save several hundred dollars each year on your car insurance by choosing one of these models. Keep your driving record clean, and never under-estimate the value of going to traffic school. Some companies that charge extremely low rates will only take drivers with one moving violation point or less on their record. If you get a point from a speeding ticket, for example, it takes three years for that point to fall off your record. You will pay more money, possibly hundreds of dollars, for car insurance for those three years. On the other hand, you could spend one Saturday and about $30 to attend traffic school, which will keep the point off your record and keep your insurance costs down. Make sure that you get all the discounts you can qualify for when signing up for your policy. As mentioned above, many car safety features will get you discounts, but never assume an agent will offer them. Make a list of all your car's safety features, whether they are standard, such as airbags and anti-lock brakes, or add-ons, such as LoJack, and go over them with your agent. Put all the cars in your household on one policy to get a multi-car discount, and ask about bundling your car insurance with other products such as homeowners or renters insurance to get even more discounts. Some of the factors insurance companies consider in pricing your policy are the neighborhood in which you reside, and the amount of miles you commute to work each day. If you have been thinking about a move, look for areas that allow a shorter work commute, and those that are known for having lower accident, crime and vandalism rates. They also consider your credit record, age, gender, the number of years you have been driving, and your previous driving record. If you already have points or a DUI on your driving history, you should be able to save some money by getting quotes from insurers that specialize in higher-risk drivers. Now that you know more about some of the things that can help you get less expensive car insurance for yourself and family members, you can use this information the next time you shop for a policy or meet with an insurance agent. Doing your homework and being prepared when speaking to an agent is a small bit of extra effort that could possibly save you a significant amount on your auto insurance bill. Now all you have to do is avoid using the money you save to go out and buy a new racy sports car!